When a member of your family is under the weather, you want to get them back to health as soon as possible. It’s just as true for your furry and feathered friends as it is for the human members of your family. We agree that every pet is deserving of the highest level of animal health care possible and it’s why we strive to offer caring and compassionate service. At Highland Animal Hospital we have very experienced staff members on whom you can depend for stellar veterinarian services in St. Paul, MN. From checkups to minor treatments to surgeries, we are ready to help those who can’t help themselves. Preventative health care visits are key to keeping pets healthy. 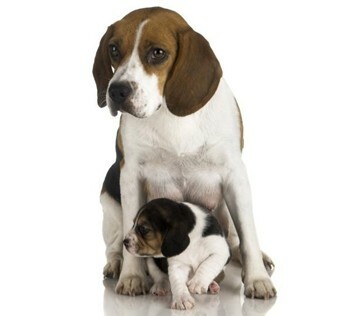 They head off any issues before they become problems and ensure a very high quality of life for your furry companion. A pet immunization is a good example of this principle. Inoculating your pet for common concerns is an effective way to ensure they are safe and sound. Modern injections are safe and capable of preventing a wide range of conditions that are known to affect animals. They are simple solutions, and we know you feel your pet is deserving of these measures. Sure, pet owners know about flea treatments, immunizations, spaying, and neutering, but other areas of pet care sometimes don’t get the attention they should. It’s not a matter of neglect but rather one of out of sight, out of mind. Pet dental care is one of those examples. It’s tough to keep tabs on the condition of your pet’s teeth. They can’t tell you when they’re experiencing pain, and you might not notice they are having problems until it reaches a stage where it impacts their eating habits. You can’t tell Fido to “remember to brush” and leave it at that. It’s important to schedule regular dental maintenance to prevent any painful or irritating teeth issues for your pet. Some of our dental services include x-rays, tooth extractions, and periodontal treatments. Pets give so much to their owners and ask for so little in return. They provide love, loyalty, and companionship and are happy with just a bowl of food and a pat on the head. But they deserve much more; they truly deserve the healthiest and happiest life you can provide. Pet wellness visits help to accomplish this as they take into consideration your animal’s total health situation and go a long way to preserving it. Contact us to book an appointment for your pet. We proudly serve pets and their people in St. Paul, MN, and the surrounding area.